Not sure what I was looking at… I kind of look like I’m praying… or I spotted a spider. I made up the version A in a size 4. This is straight from the packet with the pattern pieces cut as you find them. I figued the loose fit would be forgiving. 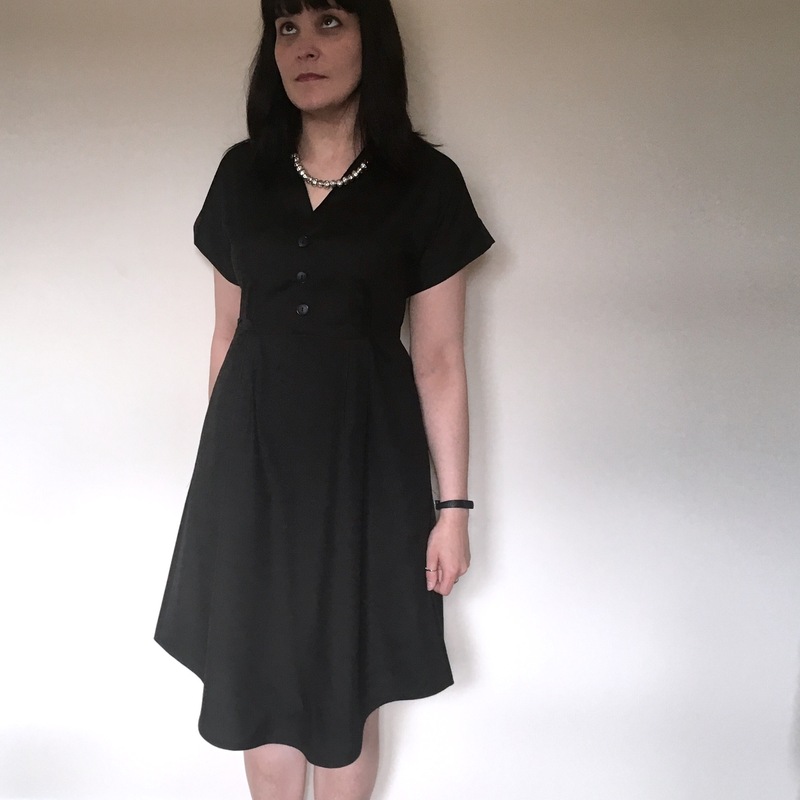 The only adjustment was adding 2″ to the hem to make it a little more work friendly. Oh and there was that other big adjustment that I made… which you can’t even see because… we’ll… black fabric doesn’t photograph easily. Can you spot it? No? Ok I’ll just tell you… rather than gathering the skirt I pleated it under the tie waist. 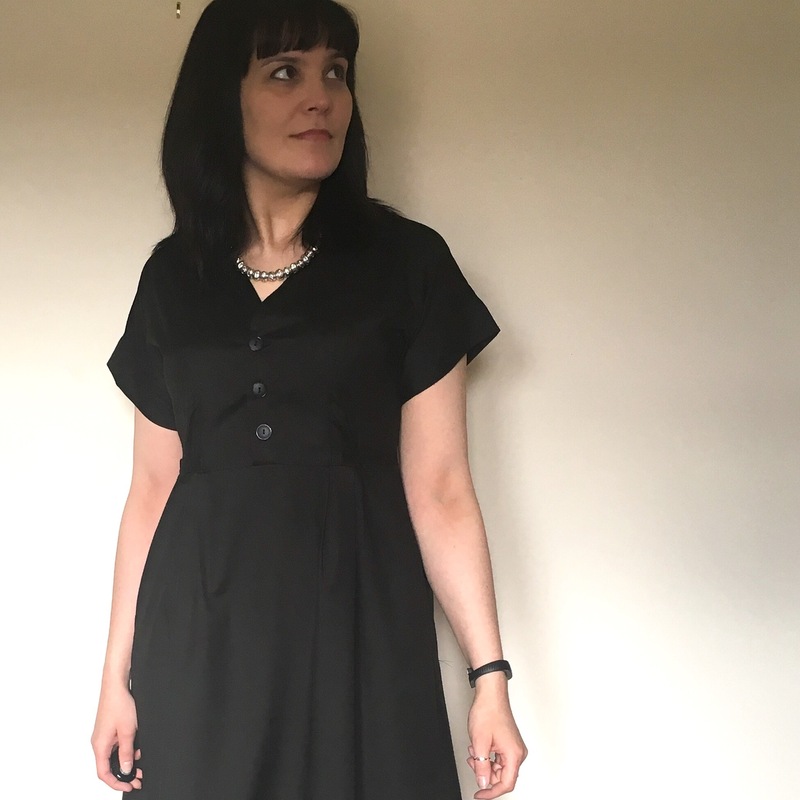 I decided that the fabric might have been a bit on the bulky side, it’s a heavy viscose (which had dye that turned everything it touched black… hands… sewing machine… my soul… oops one too far) so it might have stood out a bit and been more poofy than drapey. 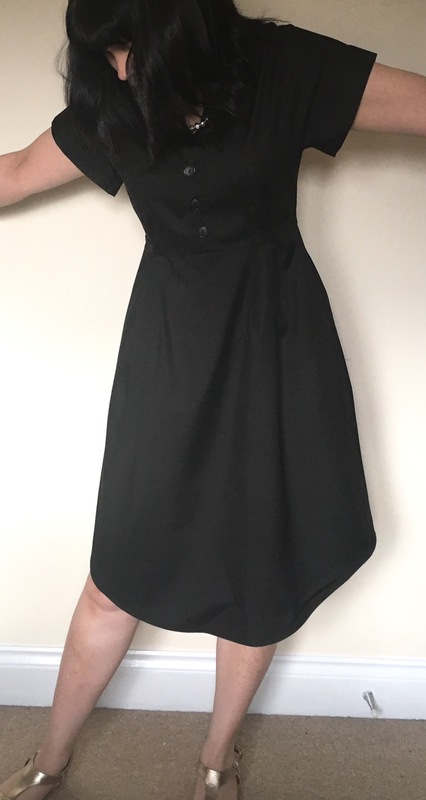 I made the longer waist tie. I like that it starts at 10 and 2 at the waist rather than the sides. I love how it tucks neatly into the darts too… though it was a bit fiddly. 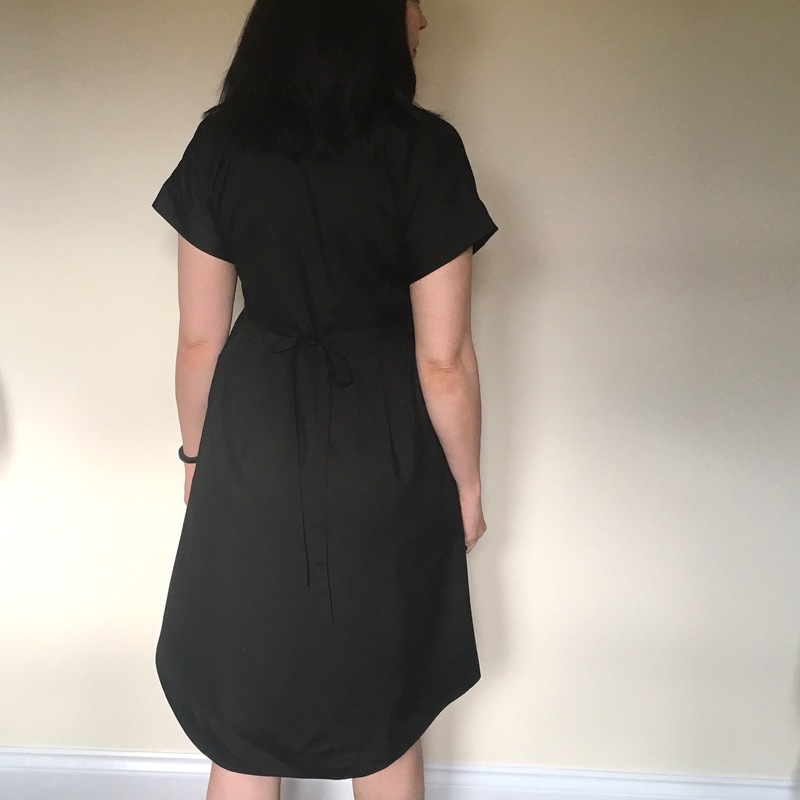 The length is just perfect, it sits below the knee in the cent front and back rising to above the knee at the sides. I did cheat a bit and rather than the small folded hem I went with my favourite old friend bias binding. 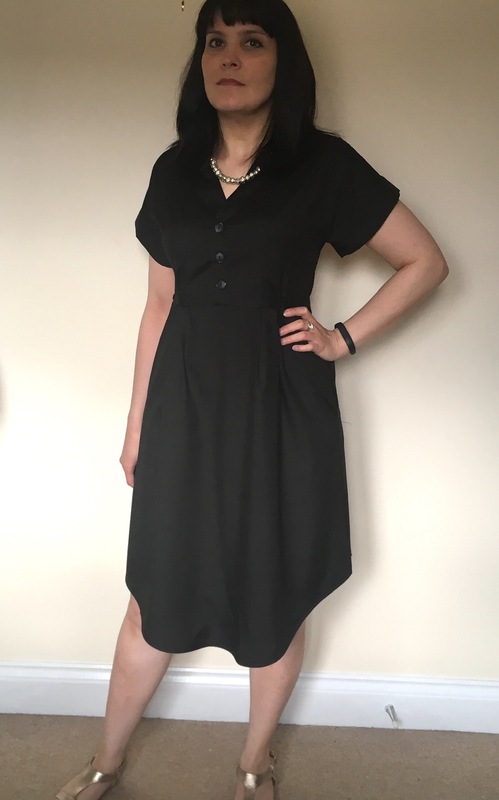 I love the button front… but I’m totally making it with the keyhole type shape neckline too! Oh and did I mention…. IT HAS POCKETS!!! Yaaaaaaaaay! !